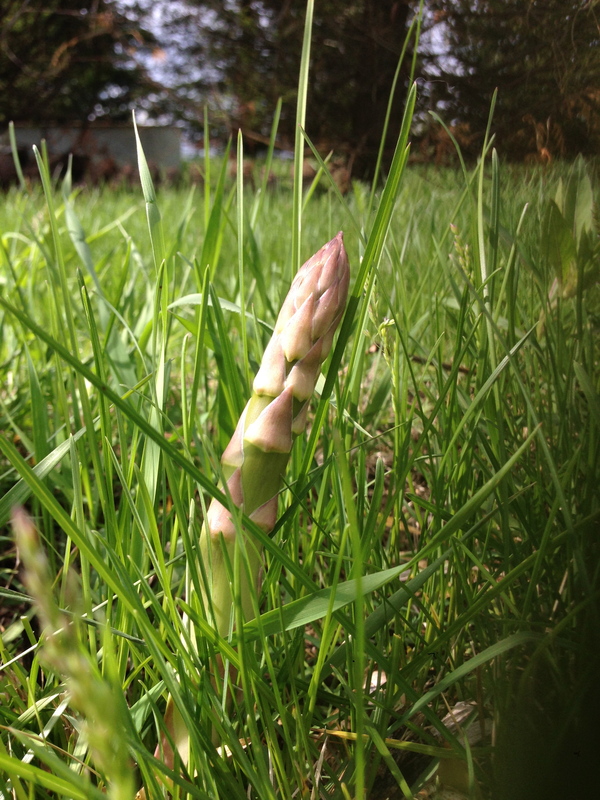 We have been enjoying a lot of Asparagus this season. In fact I will be freezing and pickling some of them today. The pickled Asparagus were one of our favorite pickled foods last year. What I won’t be pickling? Rhubarb! Although it yielded many, “oooh interesting” comments when it was tasted, it definitely was not as interesting after that second bite. Oh well, live and learn! I may have gotten a bit overexcited about canning last year! I will be doing a lot more freezing this year, but there are still things I will want to can for sure. 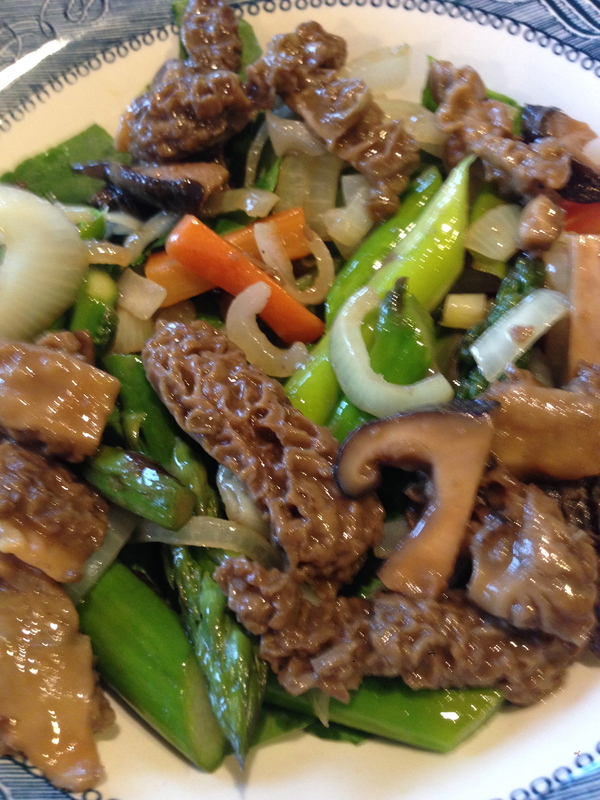 The Morels were great this year. The season started out iffy, but improved as things warmed up. We have some in the freezer, not a lot but just enough for treats sprinkled throughout the year for occasions. 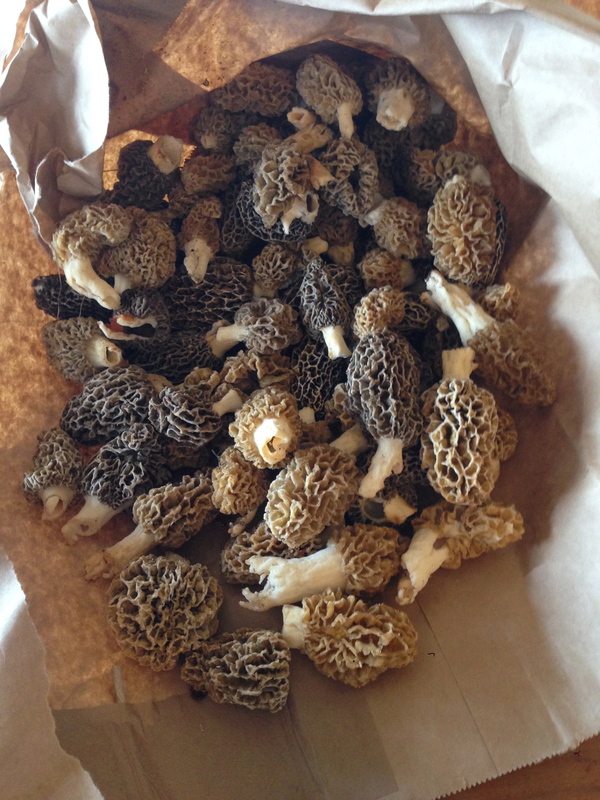 We have also enjoyed so much tastiness this Spring. Unfortunately the photo isn’t great but the meal was! I am still involved in the Local Bite Challenge, although, I’ve not been much of a participant with the group lately, because it is a very busy time for my Granola business, really granola but I have still been participating in the challenge! The challenge has made me think about things I hadn’t and has made me even more aware of local eating than I already was. One of the ways we eat locally throughout the produce drought months of November to May, is through our Winter Storage Shares that we set up with our wonderful friend and neighbor who is an Organic farmer. He has a lot more garden space than we do. We have quite possibly the most awesome arrangement ever! Today we worked out our winter shares.We are set up for potatoes at 100 pounds, carrots at 50 pounds, onions at 40 pounds, 8 heads of cabbage, and he will also store our wild apples (I will pick him a matching amount to cover for the cold storage he is providing for us – he has a walk in cooler for his vegetable business.) This past winter our shares lasted like this…Potatoes lasted through May, Carrots through January – although our kind neighbor shared some of his share with us through about March, and our Onions sadly only lasted though December – there were not that many available). Today we set it all up and with these bumped up quantities it may provide us coverage for the year until these items are available fresh again. All the cost of this food will be traded to our neighbor in beef this summer when we take our first steer in and pork in the fall when the hogs go in to the butcher. It is a perfect arrangement and it is one of the ways we maintain our local eating and it feels very good and right for us. 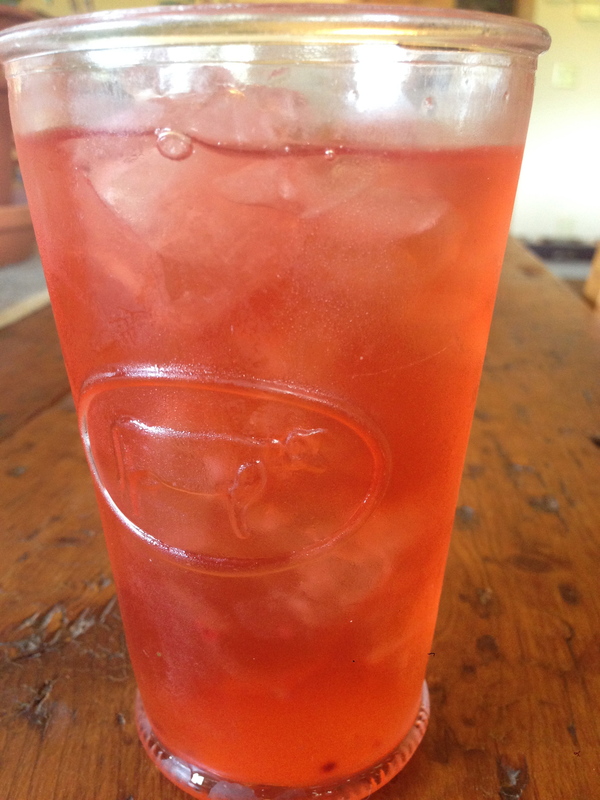 Now, after this yummy cherry drink (water, tart cherry juice from our frozen cherries and a bit of Black Walnut Syrup for sweetener) I will head outside for more planting!